Graduate Aptitude Test in Engineering (GATE 2017) is an entrance test for admission to post graduate courses (Masters and Doctoral) in Engineering / Technology / Architecture / Science in India. GATE scores are also used by some PSUs for recruitment. The organizing institute for GATE 2017 is IIT Roorkee. 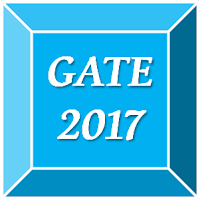 Validity of GATE 2017 is for 3 years.